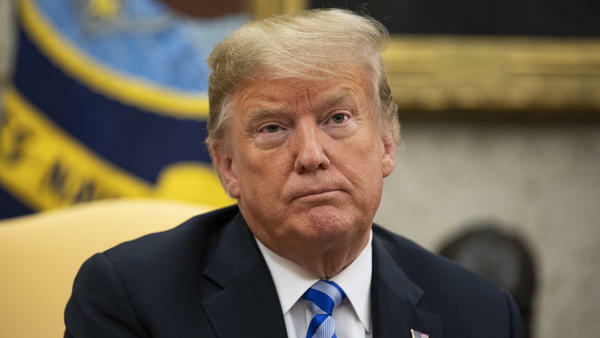 According to Bob Woodward's upcoming book, a former Trump attorney thinks President Trump can't tell the truth long enough to talk with the special counsel's investigators about anything. Even if special counsel Robert Mueller goes quiet for the next two months to avoid affecting the midterm elections, it appears he will continue to work out of the public eye. A protester holds up a sign as former Trump campaign aide George Papadopoulos arrives at the U.S. District Court for his sentencing hearing Friday in Washington, D.C. Critics never tire of pointing out what they call President Trump's penchant for prevaricating, evading, sidestepping, fabricating, inventing, dissembling, misrepresenting, distorting, warping, embellishing, embroidering, exaggerating, inflating, misleading or deceiving. What became clear this week, however, was that even some of his own closest aides and supporters also say this is a central aspect to his personality and his conduct in office — and it's a problem for them, too, especially in the Russia investigation. John Dowd, a former Trump personal attorney in the Russia matter, and others are described as scrambling to try to make the best of dealing with a principal who not only, they say, seldom tells the truth, but also may not even know what the truth is or was from moment to moment. That's according to an early account of the new book by Bob Woodward, which takes readers inside the White House for aides' dealings with the president. The president, to be clear, denies all of this. He calls himself the greatest president in decades and points to the thriving economy and his projects underway around the globe, including his negotiations with North Korea over its nuclear weapons program. Closer to home, however, Justice Department special counsel Robert Mueller wants Trump to answer questions about the Russian attack on the 2016 election — which was directed toward helping him be elected — and the actions he has taken since. The president's lawyers and the special counsel's office have been negotiating for months over how or whether that happens, and those talks apparently continue. What is clear now, per Woodward according to a report by The Washington Post, is how strongly Dowd has argued to Trump that he must never testify or agree to an interview. Even if — as Trump and Dowd argue — there has been no underlying wrongdoing either with the Russians or since, Trump can't tell the truth long enough to talk with the special counsel's investigators about anything, Dowd reportedly concluded. Under this thesis, Trump will tell a falsehood about anything under any circumstances, and the feds will have trapped him into a perjury charge unrelated to Russia or potential obstruction of justice. For Dowd, that means Trump must tell Mueller "no" to an interview, no matter what. When Trump didn't agree, Dowd quit, Woodward reports, according to The Washington Post. Trump appears to consider a solid "no" politically untenable. He continues to hold open the possibility of talking with Mueller, as the president told reporters again on Friday. Trump's current personal attorney, Rudy Giuliani, continues negotiating with the special counsel but, in at least one interview, all but dared Mueller to issue a subpoena — which Giuliani and Trump would fight. Based on the reports of this week, however, even if Mueller succeeded in getting a judge — or the Supreme Court — to compel Trump to testify, the president's lawyers still might counsel him to not talk, under his Fifth Amendment privilege. By the time of that decision, Trump might have spent months or potentially years attacking federal law enforcement and delegitimizing it in the eyes of his supporters — lessening the political implications of not cooperating. Meaning what? This would resolve what Trump calls the "perjury trap" problem, but it doesn't help Mueller or the public get any closer to the facts of the 2016 attack on the election. In fact, the early account of the Woodward book raises the question about whether there ever could be a satisfactory conclusion to the inquiry. If Trump, according to someone who was once a close legal adviser, cannot tell the truth and may not know what the truth is, could he ever be involved in a definitive accounting of what took place? The president says he did not know, for example, that Donald Trump Jr. and other campaign leaders met the Russian delegation in Trump Tower in June 2016 to get the dirt the Russian government had offered on Hillary Clinton. There are suggestions that Trump may have been involved: Trump Jr.'s phone calls, for example, suggest he may have spoken to his father at the time he was setting up the meeting. Mueller's investigators might be able to establish whom Trump Jr. called. But the question Woodward's book raises is whether anyone ever truly can establish — from Trump anyway — what Trump knew or what actions he took. When the Apollo astronauts flew around the dark side of the moon, it blocked their contact with Earth. They went through "loss of signal," or LOS, and their communications and telemetry were silent until they re-emerged from behind the other side. Have Mueller and the special counsel's office flown behind the moon? Friday marked 60 days until Election Day. 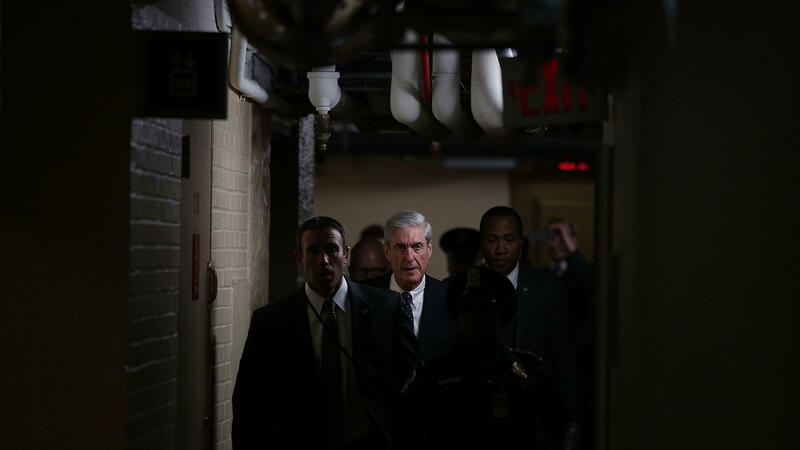 According to one strain of conventional wisdom in Washington, D.C., the special counsel's office now must stay dark to avoid interfering with the midterm campaigns. If that is what has happened, there are signs work will continue even if it doesn't become public. At least one witness testified on Friday to the D.C. grand jury that Mueller has been working with. A key figure in the Russia investigation was sentenced on Friday — of which more below. But the short week after Labor Day passed without another seismic shock: no high-profile indictments, no historic doorstop report, no U.S. Marshals Service deputies or FBI special agents driving up to the West Wing with a battering ram. Does that mean Mueller will preserve LOS all the way until November? The only way to know for sure may be whether he makes a move. A federal judge on Friday sentenced George Papadopoulos, a former Trump campaign foreign policy adviser, to 14 days in prison, one year of supervised release and a fine of $9,500 after he pleaded guilty to lying to the FBI. Papadopoulos' was the first case brought by the special counsel's office, and he was the origin of the Russia investigation. In the spring of 2016, working in London, he began to hear from Russian operatives with offers of "dirt" on Hillary Clinton or "off-the-record" meetings — including for Trump with Putin. Papadopoulos transmitted those offers to his bosses including, his attorneys say, then-Sen. Jeff Sessions and then-candidate Trump — although no meeting took place. But what else might have taken place between the campaign and the Russians? That is the big question that continues to lie at the heart of the Russia matter and one which the Papadopoulos sentencing did not answer. It has become clear how aggressively the Russians tried throughout the spring of 2016 to drill exploratory wells into the Trump campaign, directly and via intermediaries. Eventually, at least one succeeded, resulting in the Trump Tower meeting in June. Was that the only one? Did any other contacts take place that aren't publicly known as of now? Will Mueller and the feds ever lay out a complete narrative of what they've established about this critical early phase? 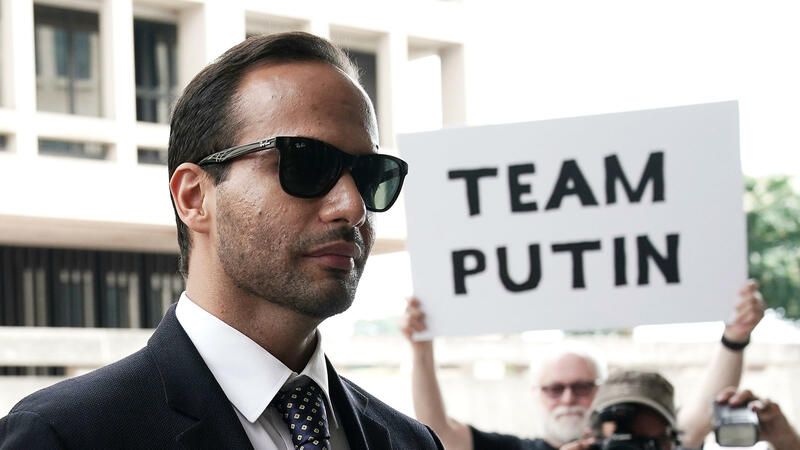 Even though the Papadopoulos matter is now closed in the eyes of the law, the public still does not have a complete and official picture of what happened.